Peoria, IL, March 28, 2019–Marquis Who’s Who, the world’s premier publisher of biographical profiles, is proud to present Steven J. Lichtenstein with the Albert Nelson Marquis Lifetime Achievement Award. 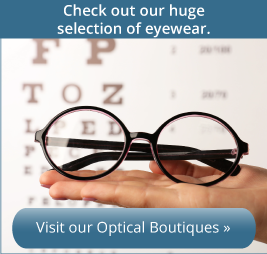 Peoria, IL, March, 2019–Illinois Eye Center’s Peoria office is proud to introduce EyeCareToday, an initiative designed to provide same day eye care for when “life happens” and patients need it most. Peoria, IL, August, 201 –Illinois Eye Center Ophthalmologist, Dr. Edward Hu, recently returned from Montemorelos, Mexico after completing his week-long mission trip with ChOSEN. Peoria, IL, July, 2018–Dr. Thomas Wyman will reach a milestone this August, celebrating 40 years with Illinois Eye Center. As a cataract surgeon he has performed over 25,000 cataract surgeries. Dr. Pete Lagouros and Dr. Patrick Rhode have been named to the Best Doctors in America® list for 2017-2018. The prestigious recognition marks the tenth time that Dr. Pete Lagouros has earned this honor and the fifth time that Dr. Patrick Rhode has been awarded. When we think of often-painful eye conditions like blepharitis and dry eye, we usually assume that the patients are adults. Illinois Eye Center is incredibly grateful to Dr. Steven Sicher for his tireless dedication and many years of faithful service. With great pride, Illinois Eye Center applauds Dr. Sicher and extends its kindest wishes for this well-deserved retirement. September 2015 – Dr. Pete Lagouros and Dr. Patrick Rhode of Illinois Eye Center have been named to the Best Doctors in America® list for 2015-2016. The prestigious recognition marks the ninth time that Dr. Pete Laguoros has earned this honor and the fourth time that Dr. Patrick Rhode has been awarded. Approval to Participate in Clinical Trial. July 2015 – Illinois Eye Center is excited to announce that we received approval to participate in a clinical trial to test a new drug for macular degeneration. 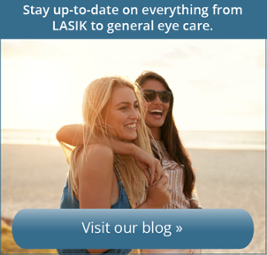 February 2015 - Glaucoma Specialists at Illinois Eye Center are now using a new minimally invasive alternative to traditional glaucoma therapies called Trabectome. Welcome Edward Hu, M.D., Ph.D.